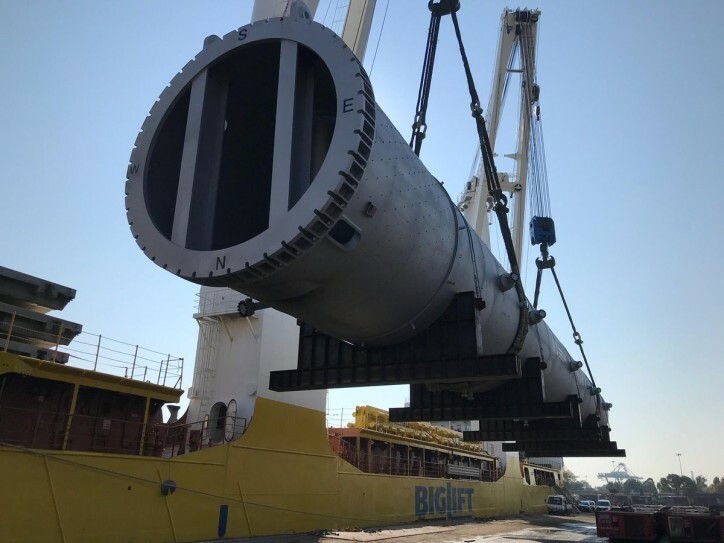 Two hydrocracking reactors made by ATB Riva Calzoni have sailed on board the BigLift company’s Happy Star ship, with their destination the first private Nigerian refinery owned by Dangote Refining Ltd. The high-pressure units were made both at Roncadelle, in the province of Brescia, which is the headquarters of the Lombardy company, and Marghera, in the assembly workshops owned by ATB Riva Calzoni, just a few metres from the outbound terminal. 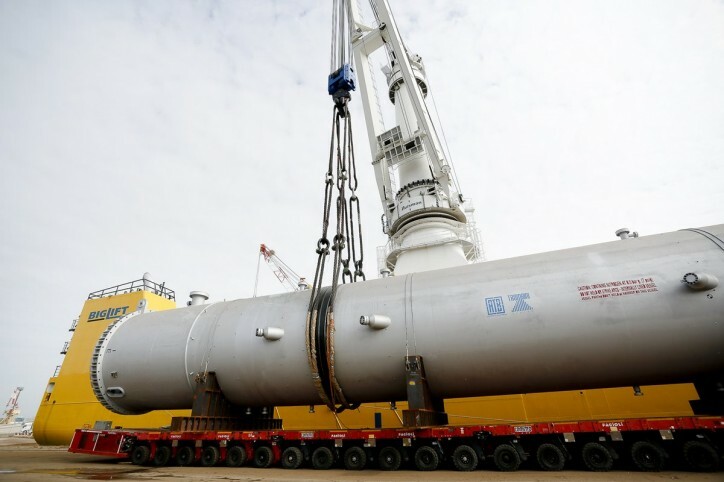 Each of the two components (pressure vessels), which are amongst the largest ever made in the petrochemical sector, weigh 1,535 tonnes and are 60 metres long, setting a record for the port, which had never loaded anything that heavy. The stage in which the reactors were transported from the facility to the quay was conducted by Fagioli spa which, to meet the load-bearing limits of the ground, used a 72-axle SPMT (Self-Propelled Modular Transporter) putting together convoys of as much as 60-metres long, 8.5 metres wide and 10 metres tall for each load. 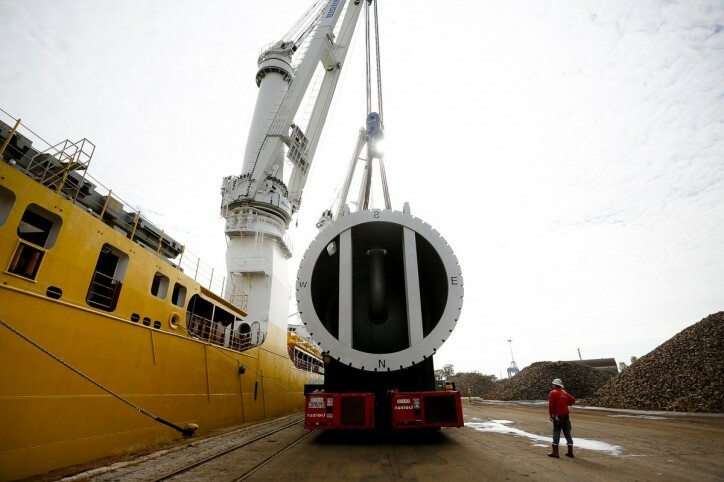 The convoys were moved to the multiservice terminal quays through the Via Sali access, which was created specially for transporting extraordinary loads, where the two reactors were loaded bound for Nigeria on the BigLift ship, which is equipped with two cranes each capable of carrying 1,100 tonnes. “The only place where operations like this can currently be carried out in Italy is the Port of Venice: we have production areas that are close to the quays, the best service operators, and excellent companies like ATB Riva Calzoni, who choose our port because of its production business, and which are continuing to invest: these are all assets that improve our performance, confirming our unique position in Europe”, said the President of the North Adriatic Sea Port Authority, Pino Musolino.